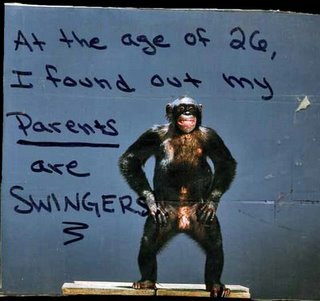 When I was 18, I found out my grandparents were swingers. I still think that's pretty cool. Hey, Insiders, fix that, will ya? In Blast From The Past she discovers what her friends did after she went home. I spotted this blog title, "10 Tips to Grow Your Bag Fund Fast! ", and I thought, hmmm, substitute 'lingerie' for 'bag' and this might be worth it. So I clicked on over. So upsetting, it deserves repeating: Ack! I know some ladies love handbags -- I love lingerie, so I'm not throwing stones here. I know folks who adore to such degrees can be more than extravagant in their purchases. But when I read this list I not only read it but counted the beans along the way. In doing the math it seems handbags are more expensive than family trips to Disney theme parks. I could buy myself a very nice purse, vintage & adorable, simply by doing #6, Make your own coffee and skip Starbucks and Dunkies. (Save up to $25 or more a week). Certainly four weeks would be enough for me to get a great handbag. So I can't say this was worth reading simply for finding more scratch for lingerie -- but if you are the type who scrimps, saves and finances their fashion rather than their homes, family trips or children's education, then by all means, read and use her list. As for me, I'll just say "Ack!" one more time and content myself with my smaller purchases which are far less threatening to the financial security of my family.